Ensemble Voces8 is established as one of the world’s most flexible and popular singing groups. 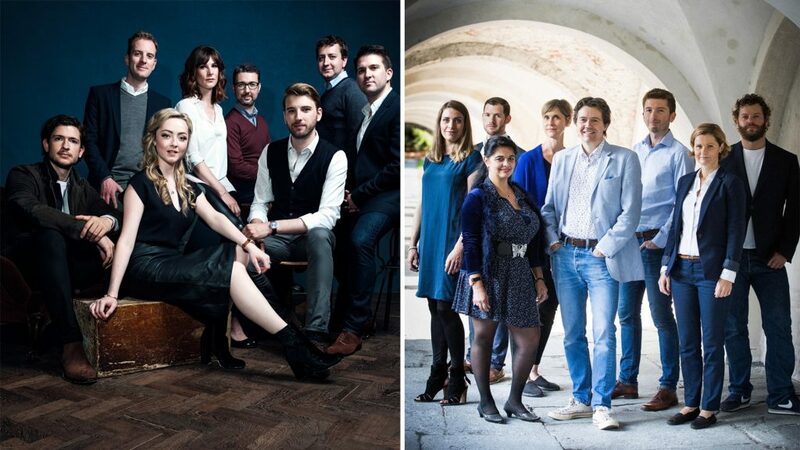 Voces8 tours frequently in Europe, North-America and Asia with a repertoire which varies from renessance-polyphony to new commissioned works including arrangements of popular music and jazz. The Bergen-based Edvard Grieg Choir is also a very versatile and flexible group. It performs on a regular basis with the Bergen Philharmonic Orchestra and is at the same time the core of the Bergen National Opera Choir. The choir has in short time established themselves as a leading 8-voice a cappella ensemble, with concerts in Norway and abroad. Several works and arrangements are made specially for them by leading composers like Jonathan Rathbone and David Lang. They also run an extensive development and education program that includes five children’s choir in Bergen and Edvard Grieg Ungdomskor who attracts singers from all over Norway. At this concert Voces8 and Edvard Grieg Kor will perform more of their own favorite works.